One of the first interviews I ever did as an “official” theatre reviewer was with Carl Andress who was not only charming and lovely but also heaps of fun to chat with. Back then he was directing Charles Busch and Kathleen Turner in The Third Story which was a show that highlighted the talent of everyone involved. I have nothing but enormous respect for Carl as a director. Well, I’m happy that I have another reason to interview this wonderful gentleman because Carl Andress is at it again, teaming up with Charles Busch to do The Divine Sister. We recently sat down to talk about the fun of doing an homage to some of Hollywood’s best nuns, and the great actresses who played them. Along the way, Carl also explains what it’s like to do theatre for the pure joy of it, he give some advice to the Fringe crowd on the smartest way to get a show produced these days, and he enlightens me about a simple little device that has changed his life . 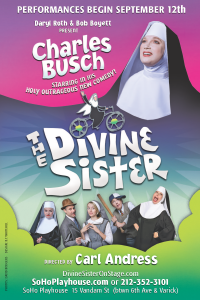 . .
Carl, Once again, you’ve collaborated with Charles Busch, this time for his new comedy, The Divine Sister, which will be coming to The Soho Playhouse in September. Tell me a little bit about what The Divine Sister is all about. 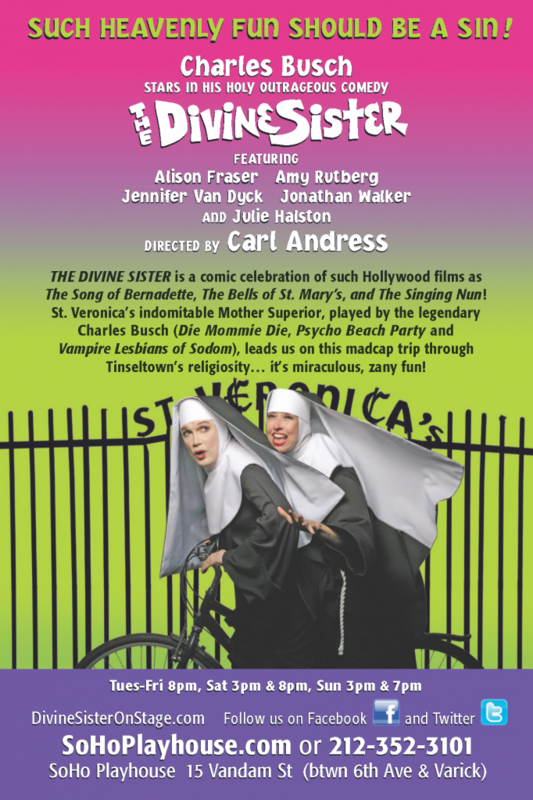 The Divine Sister is a comic celebration of almost every Hollywood movie ever made having to do with nuns. Sort of an homage to what we call Tinseltown’s Religiosity. Turns out that Charles was fascinated by so many of these movies as a kid. He grew up Jewish, but he saw all the Biblical Hollywood movies of the 1940’s and 50’s on TV and he loved The Song of Bernadette and Come to the Stable, Going my Way; The Bells of St. Mary’s and Ben Hur. 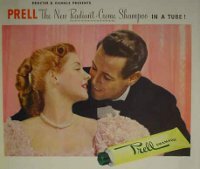 And then of course in the 1960’s movies like The Trouble with Angels starring Rosalind Russell or The Singing Nun. And this became a genre that he had a lot of affection for, because of their uplifting stories but also because they had their campy elements. He and I laugh, for instance, that in The Singing Nun, even though it has its serious story elements, Debbie Reynolds is wearing more eye makeup than Elizabeth Taylor in Cleopatra. So writing a play based on this genre was an idea that he had a long time ago. ”Me and Julie Halston in nun’s habits . . . wouldn’t that be funny!” But it took him a while to get around to it. After we did his play The Third Story with Kathleen Turner, he was working on some television script projects and he got lots of notes from the developers and producers. A lot of back and forth – for almost a year! And as he tells it, the networks finally cut him loose, saying ” There’s a problem with the tone - it’s too ‘Charles Busch’ “ and he thought “And that’s bad? ?” So there was some frustration there as you can imagine! So as therapy for himself, he started writing a real old-fashioned ‘Charles Busch’ play –one that would hearken back to his days in the East Village and he decided “Now’s the time to bring out the nun play.” So he started reacquainting himself with all the old movies, and got me to do the same, so that we could speak in a sort of shorthand about them, as we do for all of our projects together. He came up with a story that takes place in Pittsburgh, 1966, a moment in history of great social change and upheaval in this country. 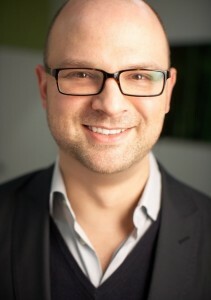 In it he plays an embattled Mother Superior at St. Veronica’s Convent and School who has to deal with sexual hysteria among her nuns, a young postulant who has “visions,” a mysterious nun visiting from the Mother House in Berlin, as well as a former love who’s intent on luring her away from her vows. It’s a wacky story in which Mother Superior is also desperately trying to get a new school built while being thwarted by a dangerous fringe sect. And the result is what I think of as the best of Charles Busch. There’s five or six good belly laughs on each page. A jam-packed 90 minutes of fun and laughter. Wow, that really sounds fantastic! How did it all come together? We told her that “We loved what we were doing at Theater for the New City and that we wanted to find a way to continue sharing that fun with a broader audience off-Broadway.” Well, Daryl is a huge proponent of off-Broadway theater and she liked that we wanted to maintain the old-fashioned off-Broadway, downtown, spirit of what we had created. So she decided to work with us to transfer our “Divine Family” to a new run, and shortly thereafter, Bob Boyett who co-produced Die, Mommie, Die! with Daryl in 2007 came on board as well. 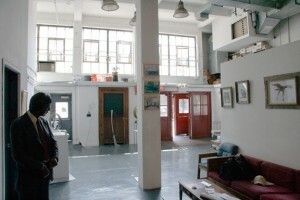 We’ll be at the Soho Playhouse on Vandam Street in Greenwich Village. It’s an intimate, adorable and historic off-Broadway theater and there’s a bar in the basement so it’s also a party! I can’t wait. We go into rehearsal August 30th. In my opinion the Nun Comedy is a very underutilized genre. All the funny nuns that I can recall (like Whoopi for instance) are really nuns in disguise. Why do you think that is? Is it because it’s particularly challenging to make a nun comedy come alive? Oh not at all! Nuns are multi-faceted, fascinating creatures! In Sister Act Whoopi Goldberg is a lounge singer hiding out in a convent where zany hijinks then occur. But the inspiration for The Divine Sister comes from all those movies in the 40s, 50s, 60s about real nuns themselves and not necessarily the interlopers. Most of these stories were meant to be taken very seriously, like Audrey Hepburn in The Nun’s Story or Deborah Kerr in Black Narcissus. And there is humor to be found in the seriousness of it all. Contrarily, one can’t really spoof a satire, so that is one reason why we don’t necessarily evoke any nun comedies like Sister Act. Charles said he always enjoyed these movies because so many of them made being a nun seem like great fun – like the convent was a wacky sorority where all the gals were having a great time. I love that image! Did you draw upon any personal nun stories from your own life that added to the texture of The Divine Sister and helped you create this world? Well I grew up Catholic and went to Catholic School during the 1970’s from first through twelfth grade, when there were a lot more lay teachers – and more modern nuns who wore simple dresses with modern veils and their hair showing. I also went to an all-boys Catholic College Prep High School run by an order of monks called the Brothers of the Sacred Heart who wore a traditional brown monk’s robe. I had one female teacher there who I loved. She was a former nun. She left the convent just like Audrey Hepburn in The Nun’s Story and talked to me about how accurate the ending of that movie was. I think she decided she could no longer remain a nun when she was told she could not allow her students to read “The Last Temptation of Christ,” by Nikos Kazantzakis, for one of her classes. There was probably a lot more to it than that, but yes, I do have many memories of growing up around nuns. Come to think of it, one of my father’s second cousins also left a convent. Hmm…seems I knew my share of ex-nuns! In comedy, though, you really must balance the truth of a situation or a lifestyle very honestly with the mirth you are attempting to present. Otherwise it probably won’t be very funny. Thus balancing Hollywood’s often pompous idea of a religious order with the truth as well as one’s own knowledge, research and experience is key. A favorite moment of mine from the play was inspired by several actresses who have played a Mother Superior, such as Greer Garson or Rosalind Russell or Loretta Young, who can be seen winking up at the Lord in her own key light, as if she’s having there own private conversation with Jesus. Those moments just slay me. How do you direct Charles differently when he’s playing a Nun — a woman who basically eschews her femininity? Was it more challenging to ask him to tone down and reign in some gestures and movements that perhaps in other roles he’s had to exaggerate? Or was it all just thrown out the window and whatever happened happened? And what Charles is doing with this character is he is an actor playing the role of a woman with a full past life who happens to be a nun, as a great screen actress would play her. He’s giving us an extremely accurate evocation of screen star-acting coupled with his own touch of madness and genius. This is his true and particular gift — that he is able to accomplish this so convincingly on the stage. He is able to draw a theatre audience in – so much so that one feels like you are seeing him in close-up no matter what row you are sitting in at the theatre. When you did your showcase for The Divine Sister earlier this year you went back to Theater For the New City which is where you and Charles first presented Shanghai Moon - more than 10 years ago. How did it feel to go back? Any Ghosts waiting for you there? Many ghosts! Crystal Field has been a big supporter of both Charles and mine – both together and separately – through the years. I know that she presented the first play that Charles ever wrote back in 1980, in which he played incestuous twin brothers. And a few years ago Crystal produced a 2-actor play that I wrote and acted in called It’s Not My Fault, It Was On Fire When I Got There. About 10 years ago Charles was feeling burned out, and wanted to do a project that had didn’t have so much pressure to succeed. So we raised some money and just put on a show for the joy of it. That was Shanghai Moon ten years ago, which we later moved to two other productions with the Drama Dept. and then out at Bay Street Theater is Sag Harbor. It’s very empowering to do something with a pure motive – like just for the joy of putting on a play and seeing where the journey takes you. There’s then a pleasure that comes out of that that audiences can feel and become a part of. Theater For The New City is pretty a wild place – everyone who goes there has a unique experience – five theatres and the art gallery and all kinds of people roaming around at any given moment. What I like particularly like about Theater For The New City is that it’s one of the last places in New York City where young people can get their show on affordably. Young writers and new talent can get in there and get on the radar. You can do it yourself. It’s good when you just take the reigns in your own hands and see what happens. Where there’s a will, there’s a way! So we felt that it was time to do something like that again, this time with The Divine Sister and Crystal was our first call. She was excited for us to return to her theatre and work with her team. And everyone who got involved felt like we were one big family. When the run was ending everyone was sad that the party was seemingly over. But then Daryl became involved and said “let’s do this in the Fall.” The entire cast and design team is coming back. We’re having a wonderful time. In this current climate where you can’t sell a book, a TV show or a movie with out a vampire in it, is there any chance of an updated Vampire Lesbians of Sodom somewhere in the works with you directing? A few years back we did a benefit for the Actors Fund on Broadway at the Music Box Theatre and for the second half we did Vampire Lesbians of Sodom. Because of this “vampire bandwagon” you mention, of course its crossed Charles’ mind to take a bite out of it - so to speak. I think he’s got notions of turning it into a screenplay. That would be a lot of fun if that were to happen. We’re knee-deep in Fringe – do you have any words of advice for the young directors who are working on shows hoping to get to off-Broadway and beyond? My assistant director on The Divine Sister, a very talented young man named James Valletti, co-wrote and co-directed Tales from the Tunnel which was very successful in last year’s Fringe Festival and went on to be a part of Fringe Encores. He and his writing partner then raised their money, kept their cast together, and are now doing performances at 45 Bleeker to rave reviews. They decided to keep their show going for the joy of it. I remember when he was in the thick of getting the 45 Bleeker version together, he asked me “Is it always all this hard?” and I said “ALWAYS”. That’s because every show is like a start-up business, whether you’re doing a showcase, a Festival Show or a commercial production . . . you’re starting a new business from the ground up. In a not-for-profit theatre . . . there’s already an office, a staff, an infrastructure in place and as an actor, writer, designer or director, you join that company for each project. But if you’re producing your own project, you’re dealing with getting rehearsal and performance space, insurance, hiring the actors and design team, and dealing with unions. You have to set up a bank account and you really have to have your ducks in a row because it’s like you’re suddenly a mini-corporation. It’s daunting and you’ve got to pay attention to detail. But if you do it – there are many rewards to reap. A dear friend of mine, Carmen Pelaez – whose solo play, “Rum & Coke” I directed at the Fringe Festival and later at the Abingdon Theater Co., is part of a group of playwrights who strive to help each other get their writing heard, seen, and produced. They asked me to come and speak with them one afternoon to share some insights. Because everyone gets frustrated while getting their work out there, submitting your work to festivals, to theatres around the country and around town can be very daunting and more often than not you get the thank you letter saying that they’re booked up – which makes sense because they have relationships with their own stable of new and established writers/actors/directors, etc. and they only have so many slots for each season. It’s really a challenging route. And so it occurred to me that sometimes it really is best to try to produce your work yourself. And my “aha” moment was realizing that the people you need to connect with are all these folks who are graduating from the producing and theater management programs at Columbia or NYU, etc. ; people who are training to be General Mangers, Company Managers - they want to produce, that’s the side of the business they want to be in and they can be a goldmine of information, talent and opportunity. These are the people you want to meet and befriend because they have the working knowledge of what it takes to put a show together. And they’ll know other people. They’re also probably savvy about social marketing. 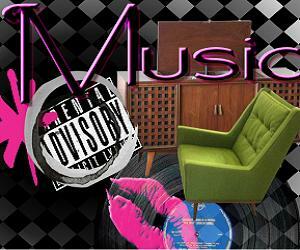 This is a group of people who are extremely valuable to developing as well as established artists. Okay last question – bonus question . . . the point where you can tell me anything you want. Leave us with a joke, a recipe, tell a favorite story from the past, hype your favorite cause or charity. Last time I gave you a hint and asked you who would have written the soundtrack of your life. This time – no hints! The mic is yours . . .
Well, Karen, since you asked, I was thinking about what I can’t live without these days and I decided it wasn’t my iPhone and it wasn’t Bravo TV, it is my new SodaStream Seltzer maker! OH FANTASTIC! THIS IS A GOOD ONE! It’s this fantastic device, which actually belongs to my partner, Christopher. It was his birthday present. He’s a tri-athlete and he’s always training, training, training, needing to hydrate. He got tired of regular water and so developed the seltzer habit. He loves it but he was going through bottle after bottle and not only does it get pricey after a while, but you’ve got all that plastic and he got tired of taking out the recycling. So a friend of mine at a dinner party said “we have this counter-top seltzer maker” and we were like“Whaaat?? ?” It was totally off our radar. So I went to Macy’s and got the SodaStream, and they have syrups with no high fructose corn syrup . . . so it’s basically like old soda used to be . . . or they have little bottles of essence, so you can have seltzer with a little bit of lemon or orange flavor. Or you can just make plain seltzer water. 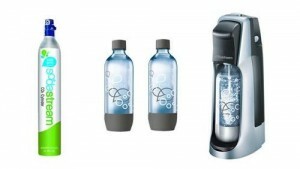 It comes with reusable plastic bottles that you refill with tap water and keep cold in the fridge. And a carbonator. After your initial investment you’re saving money and not using so much plastic. You’re supposed to get something like 66 gallons from one cartridge and we thought, “this will last forever.” But we went through one cartridge in 2 weeks because it’s changed our lives. We LOVE it! So that’s the new thing. And it looks so nice on the counter. I suggest everyone go out and get a seltzer maker. It’s also very Green . . .
It’s very Green! We feel like we’re doing our bit for the environment. Now if they could only make one that could make . . .
Well thank you so much Carl, as always it’s just such a real pleasure to chat with you and let our THM readers listen in. 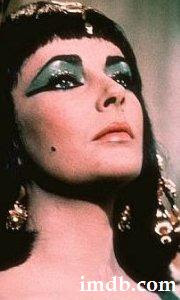 Can’t wait to see The Divine Sister! www.divinesisteronstage.com or find them on Facebook! Carl is a GIFT to work with. Truly as wonderful as he sounds in this interview!